'[I]t may well be that most Christians tolerate only as much humanity as they deem consonant with their view of divinity' (172-3 n.4, from Brown's An Introduction to New Testament Christology, 27). Especially as an evangelical myself, reading that made me chuckle with delight as Brown is onto something! Do give it another read! Evangelical Docetism would thus be rooted in a faulty metaphysic, one that has rejected the significance and goodness of the created order, and its relation to God, leaving only a crass metaphysical dualism divorced from the gracious incarnation of the Word, from God's humanity. I would add, this dualism is one in which Bultmann's project finds as much its home as your average popular evangelical book! As I have often noted before, Bultmann and popular evangelicals are odd, but sometimes nevertheless real, bedfellows. At the base of this common cause is perhaps a similar penchant to tolerate only a limited humanity in their view of divinity (though you wouldn't believe it reading Bultmann's remarks on John 1:14 in his commentary). Brown's words deserve pondering again and again. Note to self to preach about, sing and pray with the language of the divine initiative in the incarnation of the Logos more often! My thanks both to Hendrickson Publishers and to Luke Welch for his review. Luke revels and excels in detail, as you will read. Review of Jerry L. Sumney, Philippians: A Greek Student's Intermediate Reader, 2007 Hendrickson: Peabody, Mass. The book under review is an attempt to ease the transition from first year Greek to reading the New Testament by explaining and parsing every word in Philippians and discussing the syntax thereof. This concept is based on the educational system either in Bible Colleges or Seminaries in North America. After a short introduction to the letter of Philippians, including the provenance, integrity, purpose and text, he proceeds with the Greek text NA27 and an English translation of every section of the letter. The introduction is based primarily on commentaries both in English and in German. In the first section to Phil 1:1-2, the author offers basic syntactical observations and a word study of dou=loj. It may have been preferable to introduce the student to the principles of a word study, a concept that seems to still be deeply rooted in the Evangelical tradition in North America. What he says about the word dou=loj is true, but is the word not also used outside of the New Testament? This is a fundamental presupposition to hermeneutics and not necessarily a critique. I would however take issue with his "converting" the nominative xa/rij and ei0rh/nh into infinitives then using Smyth, 2014 to sneak the optative into the translation. I agree, an optative should be included in the translation, but it could be just as correct to say that it is implied, or that we should think that the author meant to include ei1h or plhqunqei/h (I Pet 1,2). The next comment, "Compare this use of the infinitive in commands in Smyth, 2013" (5) is incomprehensible to me. If this were a discussion on the use of the infinitive in I Peter, it would be justified. He then cites Wallace's categorization of this phenomenon, "nominative absolute" (5), but unfortunately leaves unanswered how these two suggestions should fit together. Are they infinitives or nominatives in a special function? The overall goal of the first section was however reached. The reader could with very little knowledge translate or at least understand this section of Philippians with ease. Continuing to read, on page eight one is confronted with the suggestion of a certain Peng, I am not sure if he means Paine. He correctly sees pas with the article as meaning "whole" but the translation is a bit awkward. The use of e0pi/ plus a dative is also brought into the discussion. This maybe should have been worked out, since this is an important but small distinction. In classical Greek, a temporal dative with a preposition would have been construed with e0n. In Koine it seems that the meaning of e0pi\ and e0n overlap, or there distinction has somewhat been diminished, something confirmed by the substitution of one for the other in manuscripts (Eph 6,16). There are some keen observations on page 8 and 9 but then we stumble upon another "conversion" of the Greek. ei0j is understood as equalling a dative of advantage, then he introduces the dativus commodi as a grammatical category. It then becomes clear that ei0j can mean "for the sake of," but should this not be discussed under meaning of the preposition? As a reviewer one cannot discuss every single sentence in a given work, but it would be hoped that this sort of work is done in classrooms where this book could be of service. I can skip ahead to some exegetically significant passages. Among the keen observations on Philippians 3,4-6 are: zh=loj as a neuter, something easily overlooked and the use of the designation Israel and the indeclinable Israel and Benjamin. Names are always difficult for students of NT Greek, I don't recall them in a beginning grammar of NT Greek. The comments to "Hebrew of Hebrews" leaves the reader wishing the author had cited his sources. He also confuses the discussion by using the designation "Palestinian." This designation was later an important one in the early church and the superscription is after all on one letter in the NT "to the Hebrews." A sketch of NT syntax, a glossary and an annotated bibliography round out the book. A few words about the overall character of the book are in order. The author seems to be committed to the syntactical system of Daniel Wallace. This point is not defended or discussed. He proceeds as if the categories are as much true as the text of the NT. These categories are partially constructs based only upon usage in the NT with very little reference to other Greek works from this time. It is never asked, "how would someone have expressed this in Greek of the time?" This said, one other point should be mentioned, the citation of BDF and Wallace seems to follow closely the register of those given works. The placement of this work in this tradition can lead me to say, I could recommend this book for second year college students, and perhaps second semester seminary students, although at the graduate level the works BDF and others should be consulted directly. The book offers one text as a working basis to learn syntax and therefore bridges the gap to Wallace for those students who do not enjoy reading single sentences for grammars sake. One of my new responsibilities at St Paul's Theological Centre is the development of a new theological library. We already have the Eerdmans Commentary on the Bible, ed. by James D. G. Dunn and John Rogerson. I have a slightly older version of the IVP New Bible Commentary. I actually never used it that much and a friend always called it 'The New Bible Cemetery'! Came across the Oxford Bible Commentary yesterday for the first time – like the Eerdmans commentary, it has contributions from top scholars. Do you have any experiences with any of these or perhaps better ones? Let me know before I press the 'purchase' button. James F. McGrath is Associate Professor of Religion at Butler University in Indianapolis, Indiana. His newest book, The Burial of Jesus: History and Faith (Booksurge Publishing, 2008,) is without question a good read. The book is imminently readable and at 142 pages, easily digested. It is not a scholarly tome – there are no footnotes, no critical interaction with other historical Jesus scholarship, and many areas where he could have elaborated but chose not to. Rather, this is a book written by a biblical scholar for a popular audience. McGrath has three primary goals: to introduce the average reader to the historical reasearch methods employed by biblical scholars, to put those tools to work in the historical study of the burial of Jesus, and ultimately to convince the reader that a bodily resurrection did not take place and is not a necessary component of Christian faith. This last goal is not explicitly made public in either the title or the opening chapters of the book, but by the time the reader arrives at the the final pages, there can be no mistake that this really is high on McGrath's priority list. McGrath shares his concern in the opening chapters about two elements of contemporary religious life in America. One is the proliferation of conservative Evangelical and fundamental strains of Christianity. The other is the popularity of television documentaries that seek to show "what the scholars have discovered" and then present often sensationalized or one-sided claims – claims that seem more oriented around drawing a large audience than around dealing in a thorough and reasoned manner with historical and archaeological material. So McGrath is annoyed by both of these. And in response to that he has produced this book. He notes also in the first chapter that since the claims that Christians make are often historical (e.g. Jesus lived, Jesus died, Jesus was buried) it is simply a requirement that the tools of historical study be employed to investigate what happened. It would be ridiculous to make historical claims and then resist the attempts of historians to evaluate them. McGrath spends chapter two laying out his argument for how historical research in Gospel studies should be done. He does a good job of laying out the tools of historical research. In general, historians have access to ancient records (in our case, gospel narratives, Pauline epistles, other early documents) and archaeological finds (signets, cookware, weaponry, etc.) It is the job of the historian to examine this data and draw conclusions. No historian worth his or her salt would ever accept written sources uncritically. As a result of this, Prof. McGrath will expose the biblical narratives to the same kind of critical inquiry. And he is not afraid to reject biblical sources that display evidence of tampering. McGrath then proceeds to use the tools of historical critical biblical study to examine the Synoptic Gospels. He does a fine job outlining what is the majority opinion among New Testament scholars today: Mark was written first; Matthew and Luke used Mark as a source; Matthew and Luke seem to have shared a second common source that we often refer to as Q; Matthew has some material that is totally unique to his Gospel; so does Luke. A careful reading of this material will help one realize that these are not wild claims that are invented by an imaginative scholar, but rather are reasoned conclusions based upon careful examination of data. Based upon his work here, McGrath concludes that Matthew and Luke have heavily modified the original story for theological and rhetorical purposes. As a result, they are not reliable as historical sources. This conclusion will become very important when he later examines the burial of Jesus. In chapter three, McGrath puts to work the historical research methods that he laid out in chapter two. Due to his conclusions there, he will use the Markan account almost exclusively. He draws the following conclusions. It is virtually indisputable that Jesus existed and that he was crucified. While history will encounter some who from time to time seek to deny these facts, the historical record is really rather clear. It is also virtually certain that Jesus really did die. Theories about how Jesus could have survived crucifixion are most unlikely. He concludes that the words ascribed to Jesus as he hung on the cross are in all likelihood fictive. He concludes that Jesus' body was in all probability laid in a mass criminal's grave, used often for the purpose of entombing crucified criminals. The likely motive for the Sunday visit of Jesus' followers was to get the body out of this dishonorable location and to give the body of their fallen leader a more proper burial. The whole tradition surrounding Joseph of Arimathea, the desire of the woment to anoint the body, the existence of the guard at the tomb – all are rejected as unhistorical. McGrath examines Paul's testimony and notes that Paul has no empty tomb references. He then points out that "all such details which emphasize the physicality of Jesus' resurrection body are in the latest of the New Testament Gospels: Luke and John" (106). He concludes concludes in chapter four that it was not the existence of an empty tomb that created resurrection faith, but rather encounters with the risen Christ. Chapter five is McGrath's attempt to lay out what resurrection and faith look like in light of his findings. He briefly examines Christian beliefs regarding concepts such as eternal life, final judgment, the immortality of the soul, and the like. Among other things, he draws the following conclusions. New Testament authors speak of eternal life not as "going to heaven whe you die" but rather something to be experienced on earth. In the Bible, judgment is more often than not something you need to be concerned about while on earth. A non-corporeal resurrection of Jesus corresponds more clearly with what Christians have believed regarding their own fate. "If it makes sense to regard eternal life as something non-bodily, then surely the appropriate action is to regard Jesus as having entered eternal life in precisely the same way and same form as will eventually happen to all" (130). This corresponds to the concept of Jesus as forerunner. 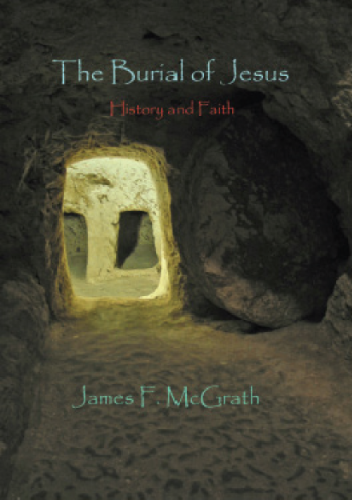 The Burial of Jesus by James McGrath is definitely worth purchasing and reading. For those unfamiliar with how historical work is done in Christian academic contexts, McGrath provides a wonderful primer. If you are a biblical scholar, you may find this book very valuable as a resource to share with friends or students who are looking to understand historical scholarship. All in all, I thoroughly enjoyed this work. 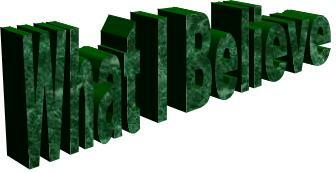 I would like to thank Chris Tilling Really Very Holy Ministries for the opportunity to present this material. May Tom Wright be blessed. Today, on Godpod 38, Mike Lloyd, Jane Williams, Graham Tomlin and myself discussed a couple of fascinating questions: Why didn't Jesus write his own Gospel, and Does God open the lost letters of planet earth (e.g. does God answer Muslim prayers etc.)? "Are you not like the Ethiopians to me, O people of Israel? says the LORD. Did I not bring Israel up from the land of Egypt, and the Philistines from Caphtor and the Arameans from Kir?" My point was this: in no way denying that God acted on behalf of Israel, that God was in special relationship with this covenant people, God also acted in gracious redeeming activity on behalf of, so says Amos, the nations around Israel, indeed their enemies. In other words, while not contradicting the special claims of Israel, their relationship with God is, to use the term employed by Brueggemann, deabsolutised. Applied to the question of whether God 'opens the lost letters of planet earth', this text would assert that God is indeed in relation with all people, ready to act graciously on their behalf. To say this, however, does not negate the specific and particular claims of Christain faith, but it does 'deabsolutise' them. all of the above. And more." If, after a week, they claim that none of that works suggest they take the ‘more’ more seriously and that 7 is a perfect number so the fault must be theirs. If they still say they are in a fix, throw your hands up in the air (still avoiding eye contact) and listen to the simply beautiful Goldfrapp track, ‘Clowns’ (that link being the real point of this otherwise pointless post). Some interesting comments in the previous post, which I shall have to follow up. Thanks. I recently got David R. Nienhuis’s Not by Paul Alone from the library, and it looks so interesting I am tempted to purchase it so I can scribble all over it (birthday present, anyone?!). Essentially, he seems to argue that James, like 2 Peter, is a mid-second century pseudepigrapha, written to provide shape in the developing Christian canon. Indeed, the Catholic Epistles use the names of church pillars (James, Peter and John) in their pseudepigraphal project in an attempt to counterbalance the Pauline dominance in the emerging collection, and particularly its potential (mis)application by Marcionists. Fascinating! There is something plausible and simple about this thesis which appeals to me. Ben Blackwell draws our attention to a forthcoming book by the late Brevard Childs, on the Pauline letters: The Canonical Shaping of the Pauline Corpus. I look forward to that. What thinketh thee? I am very open minded and flexible on these matters, and I am yet to get into E. Randolph Richards’s, Paul and First-Century Letter Writing, which may change my mind on a fair bit. I think it may as my notion of 'authorship' probably needs more work. Peter Stuhlmacher writes about "Paul's" authoriship of the disputed letters (note the ""). That seems a bit clumsy to me, but it is perhaps one way to negotiate the matter. For me, despite some earlier canon-choosing criteria, the text doesn’t need to be written by Paul for it to be inspired, to be useful for the church. Truth is a multifaceted creature, difficult to pin down in only one or two directions; and neither will inspiration be confined to a test-tube. So the truth of Titus, for example, is not to be located in that the historical Paul did or did not write it; it remains as much scripture for the church as 1 Thessalonians, as much a part of the NT canon as any other text which God has led the church to recognise. What in the world has Jim West been doing? Do any of my readers have any thoughts - any at all - on James K. Mead, Biblical Theology: Issues, Methods, and Themes (London: Westminster John Knox Press, 2007)? I ask as I am about to start it, yet I must admit that I have no acquaintance with any of his works, and no idea about this book. 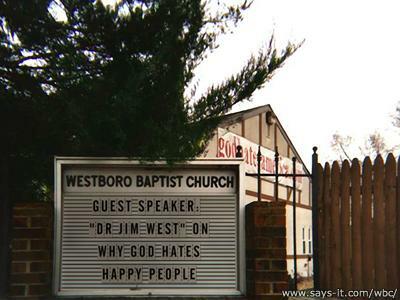 James just sent this to me, which I hereby dedicate to Jim West for obvious reasons. The Our Lady of Martyrs sign writer was clearly a genius. People actually drink that freeze-dried coffee slop. I’ve even started again myself, Lord help me. Strictly Come Dancing .... more like Strictly Interesting as Watching Paint Drying. But, boy oh boy, the flippin jury (who appear to be constantly high on way too much freeze-dried coffee) ... I was forced to dial the local hospital ordering a double lobotomy for all of them. But nobody was available as all were watching ... Strictly Come Dancing. Oh the unfathomable curiosities of the British psyche. Obsession with newspapers. I wonder if the blame for the financial crisis partly rests with them and their panic scare headlines. The youth. At the risk of sounding like a grumpy old man ... BRING BACK THE CANE!